Every player in the NHL dreams of making their mark in the league by becoming a superstar scoring machine. They want to be the one who is counted on to score that huge goal that vaults their team to new and greater heights. In every NHL season there are skaters who breakout and floor us by having an incredible campaign. Tyler Johnson of the Lightning and Filip Forsberg of the Predators are both excellent examples from last year. The young forwards put on a dazzling display with Johnson in particular shining all the way through the Lightning’s deep playoff run. I’m going to outline three candidates who are going to have a huge season in 2015-16. The former Halifax Moosehead absolutely ripped up the QMJHL. In his second and third seasons, he put up 105 and 108 points respectively. 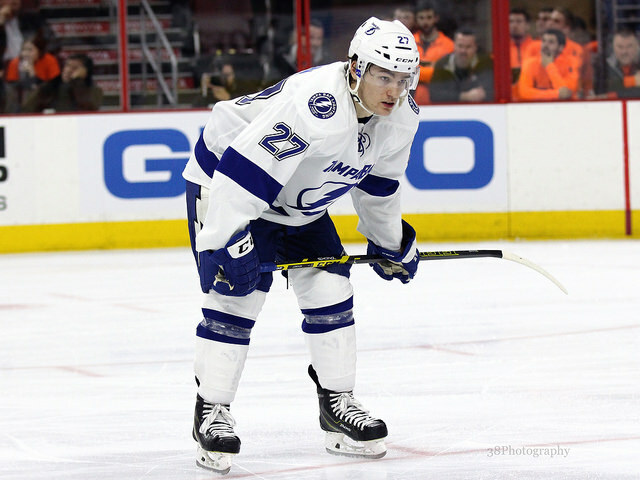 This year for the Lightning he managed to suit up for 70 games where he scored four goals and added 28 assists. He was only able to make it into six playoff games, where he had a limited impact. 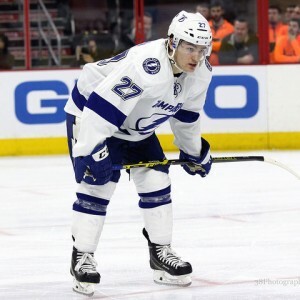 Make no mistake, Steve Yzerman and the rest of the Lightning’s brain trust are still very high on Drouin. He’s speedy, smart and talented and next season he will be given every opportunity to contribute to the team’s high-octane offence. He should continue to improve as he gets older and more mature. It’s easy to forget that the young star is only a mere 20 years old. The big Russian forward was selected 10th overall in the 2013 NHL Entry Draft. He made his NHL debut in the 2013-14 season where he played in 79 games and scored 14 goals and 34 points. The talented youngster was expected to play a huge role for Dallas this past year but his campaign was derailed by a hip injury that later required surgery. As such, he was only able to make it into eight games near the end of the season. Nichushkin has drawn comparisons to fellow countryman Alex Ovechkin. He’s got speed, excellent hands and a heavy shot. With the additions of a player like Patrick Sharp, the former first rounder has a valuable opportunity to learn how to perform, hone and perfect his craft from a player who has always found consistency. He also developed some chemistry with superstars Tyler Seguin and Jamie Benn. If he can stay healthy, a huge season is a very attainable goal. The first round pick of the Blackhawks back in 2012, Teravainen really introduced himself to fans in the most recent playoffs. Playing in 18 games he was able to score 10 points which led all playoff rookies. The young Finn has all the tools that should allow him to succeed in the NHL. He has speed to burn, pin-point passing skills and a surprisingly high amount of hockey sense for such a young forward. The 20-year-old should play a huge part in the upcoming campaign for the Blackhawks. With the subtractions of Patrick Sharp and Antoine Vermette, there is an opening in the top six. He will need to bulk and up get stronger, but a breakout season is a very real possibility, especially if the Hawks decide to play him with Jonathan Toews or Patrick Kane.